Hey Ho! Let`s Go!...To Philly! 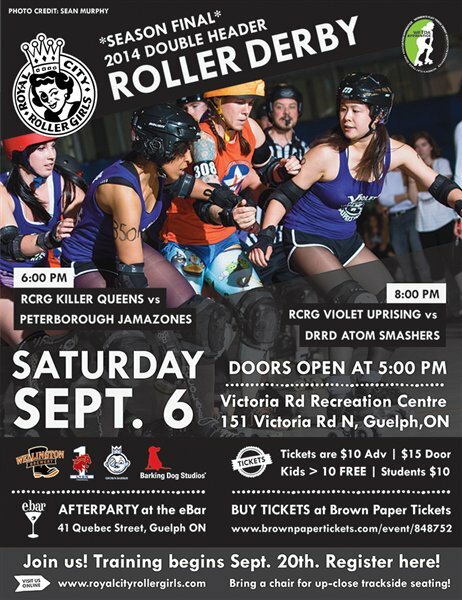 Fast-paced, full-contact Roller Derby in Guelph! Come Join the Roller Derby! 2014 Season Closer Sat Sept 6th! The Royal City Roller Girls wraps up another successful season of action-packed skating and hits. Before hockey season starts up, come see Guelph's all-women roller derby skaters give some hits and body checks of their own!.. The R.C. 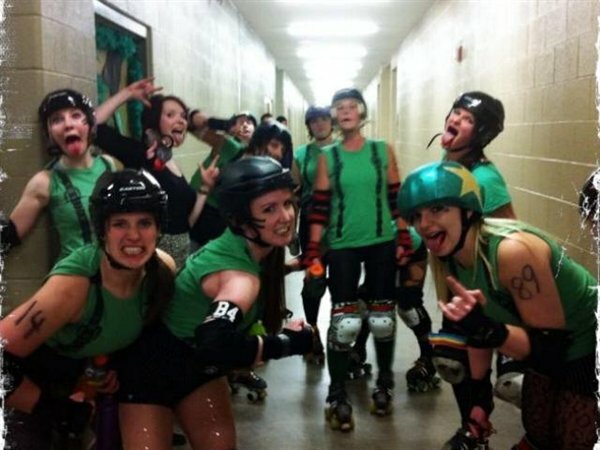 Roller Girls Want YOU! NOW RECRUITING for Guelph's women's roller-derby league! Our league offers an introductory 11 weeks of training to teach you everything you need to join Our Ladies of Pain and start participating as part of a powerful group, on and off the rink. Learn how to skate fast, fall small, give (and take!) a hit. Oh, and stopping, yeah, stopping will definitely be covered. 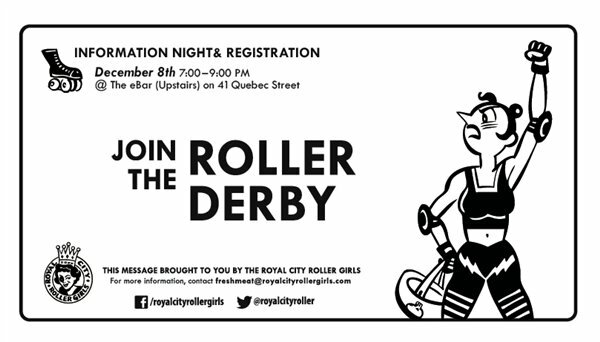 We are the Royal City Roller Girls (RCRG), Guelph’s first Roller Derby League! Highlights from the August 3rd,2013 Sleeman Center Finale of Royal City Roller Girl Roller Derby. The Double Header featured: RCRG's Brute-Leggers vs. Tri City Roller Girls' Venus Fly Tramps as well as RCRG's Violet Uprising vs. Forest City Roller Girls' Luscious Lunch Ladies.